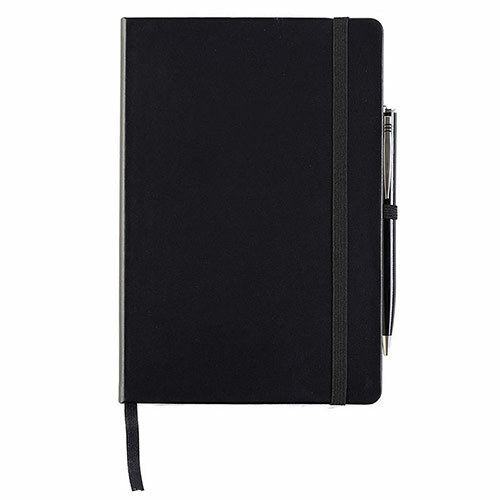 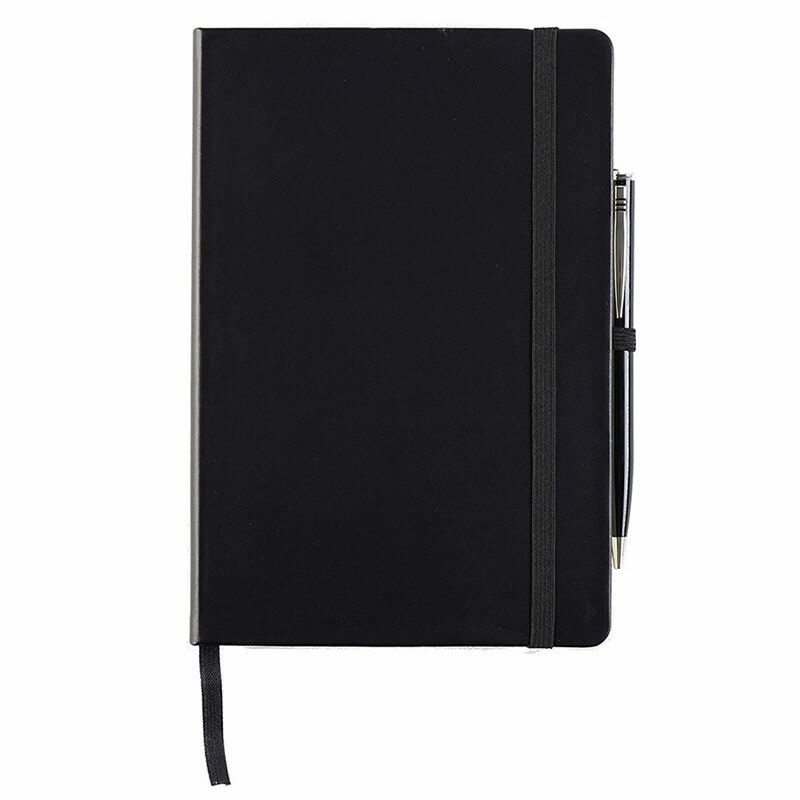 A5 casebound notebook finished in black 'Houghton' PU leatherette with the look and feel of real leather. 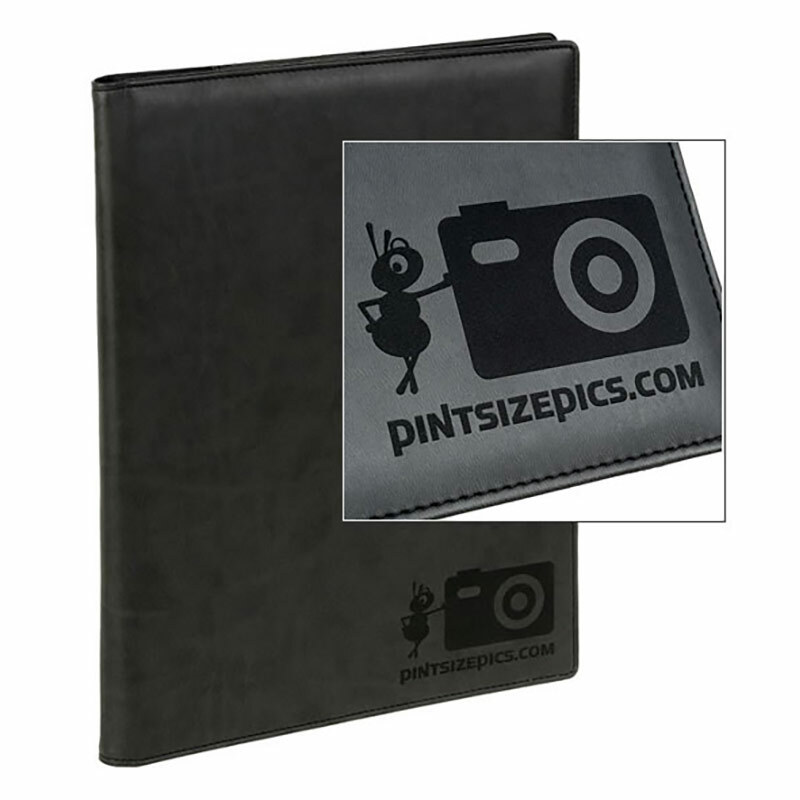 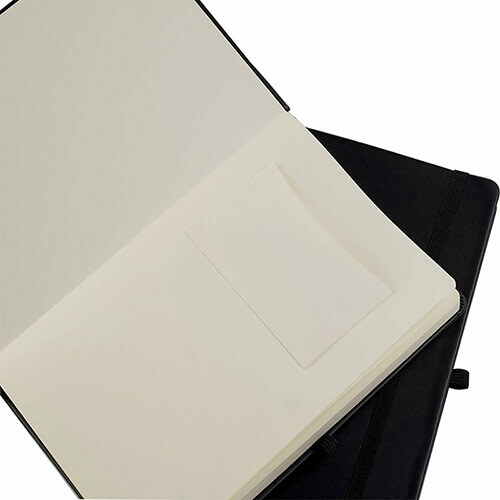 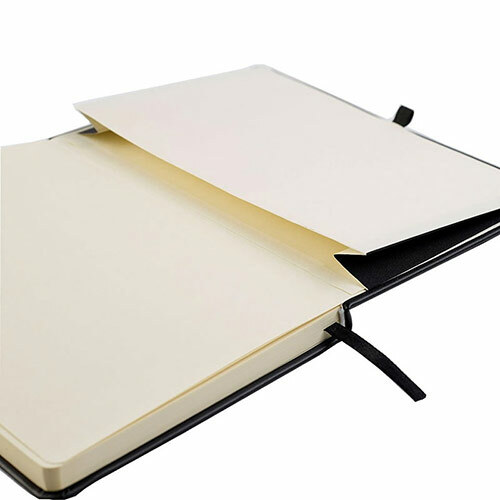 This notebook features curved corners, an elasticated strap to close and secure the covers, a pen loop, and an envelope pocket on the inside rear cover. 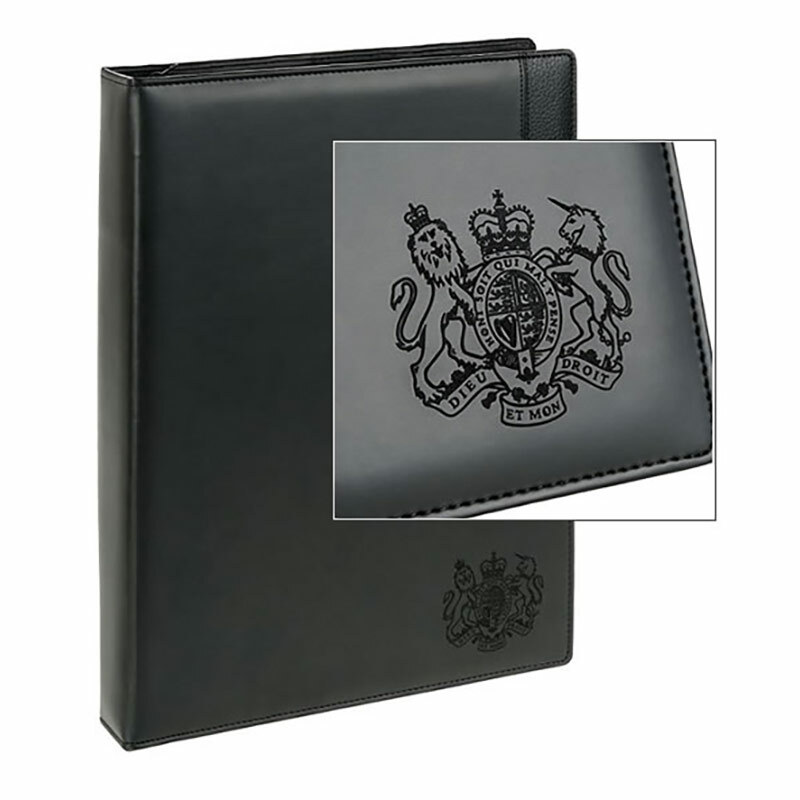 It contains 96 sheets, or 192 pages, of 70 gsm cream lined paper. 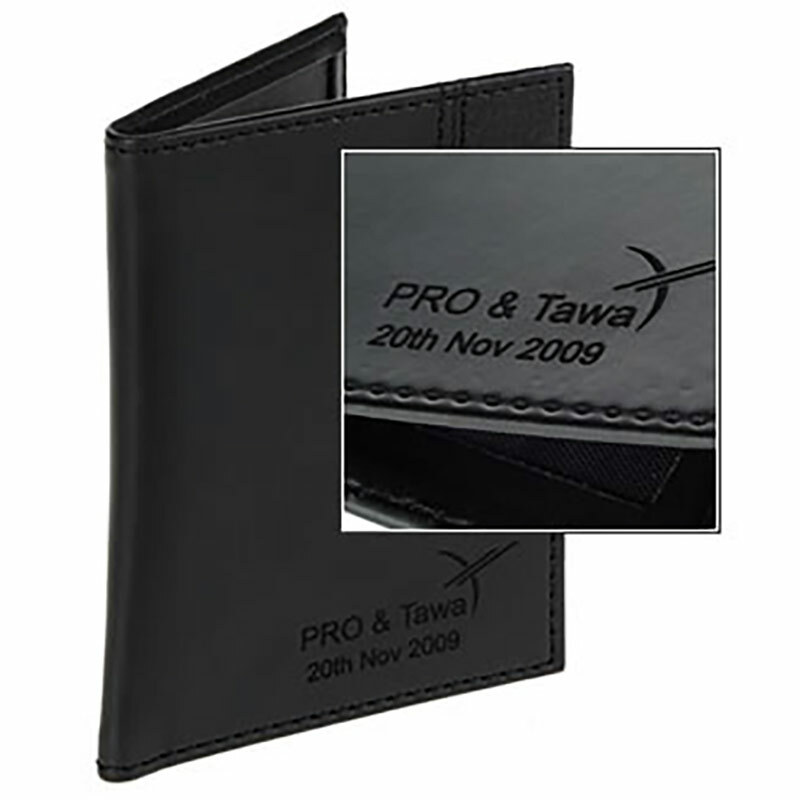 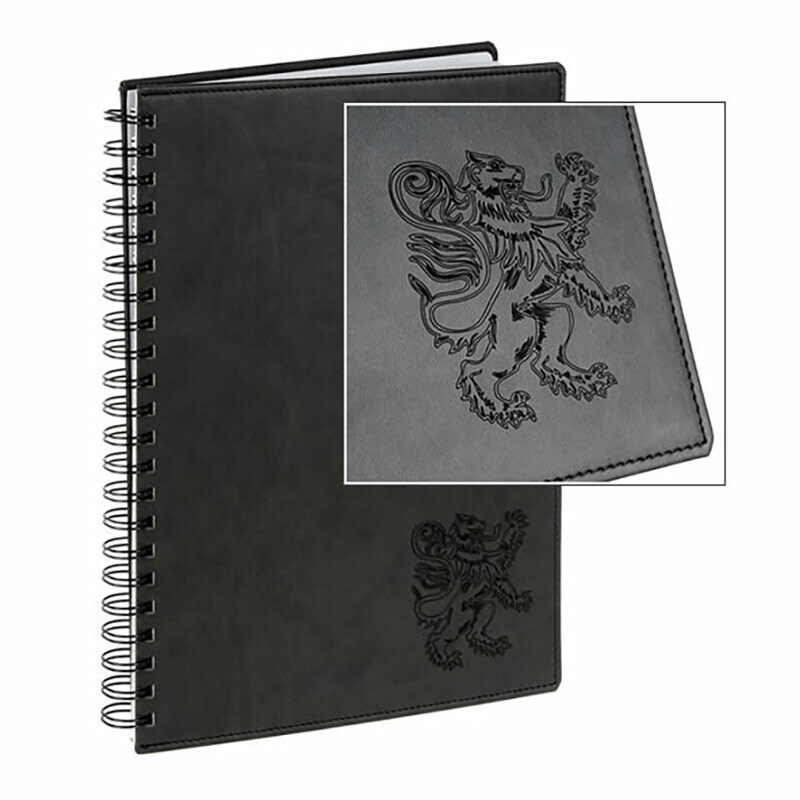 These A5 casebound notebooks can be branded by laser engraving direct into the PU leather cover, a technique that leaves a clean, crisp and very distinctive mark for your logo, company name, event details or any other inscription.